Match ends, Real Betis 1, Villarreal 1. Second Half ends, Real Betis 1, Villarreal 1. Attempt blocked. Vincenzo Rennella (Real Betis) right footed shot from the centre of the box is blocked. Assisted by Cristiano Piccini with a cross. Bruno (Villarreal) is shown the red card for violent conduct. Xavi Torres (Real Betis) wins a free kick in the attacking half. Attempt blocked. Juan Vargas (Real Betis) left footed shot from outside the box is blocked. Assisted by Rubén Castro. Hand ball by Bruno (Villarreal). Cristiano Piccini (Real Betis) wins a free kick in the defensive half. Dangerous play by Manu Trigueros (Villarreal). Goal! Real Betis 1, Villarreal 1. Rubén Castro (Real Betis) right footed shot from the right side of the six yard box to the centre of the goal. Attempt saved. Xavi Torres (Real Betis) header from the centre of the box is saved in the bottom right corner. Attempt saved. Cristiano Piccini (Real Betis) right footed shot from outside the box is saved in the bottom left corner. Dani Ceballos (Real Betis) wins a free kick on the left wing. Dani Ceballos (Real Betis) wins a free kick in the attacking half. Attempt missed. 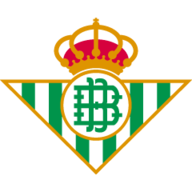 Rubén Castro (Real Betis) header from the centre of the box misses to the right. Assisted by Francisco Portillo with a cross. Offside, Villarreal. Samuel tries a through ball, but Manu Trigueros is caught offside. Xavi Torres (Real Betis) wins a free kick in the defensive half. Dangerous play by Samuel (Villarreal). Vincenzo Rennella (Real Betis) wins a free kick in the defensive half. Substitution, Real Betis. Vincenzo Rennella replaces Jorge Molina. Dangerous play by Dani Ceballos (Real Betis). Jorge Molina (Real Betis) wins a free kick in the attacking half. Foul by Dani Ceballos (Real Betis). Attempt missed. Víctor Ruiz (Villarreal) header from the centre of the box is just a bit too high. Assisted by Nahuel with a cross following a corner. Corner, Villarreal. Conceded by Germán Pezzella. Substitution, Villarreal. Manu Trigueros replaces Samu Castillejo. Attempt missed. Germán Pezzella (Real Betis) header from the centre of the box is too high. Assisted by Francisco Portillo with a cross following a corner. Corner, Real Betis. Conceded by Jaume Costa. Substitution, Real Betis. Fabián replaces Alfred N'Diaye. Samuel (Villarreal) hits the bar with a right footed shot from the centre of the box. Attempt blocked. 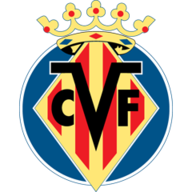 Cédric Bakambu (Villarreal) right footed shot from outside the box is blocked. Assisted by Samuel with a through ball. Attempt missed. Francisco Portillo (Real Betis) right footed shot from outside the box misses to the left following a set piece situation. Attempt missed. Xavi Torres (Real Betis) right footed shot from the centre of the box is too high following a corner. Bruno (Real Betis) wins a free kick in the defensive half. Foul by Xavi Torres (Real Betis). Nahuel (Villarreal) wins a free kick in the defensive half. Substitution, Villarreal. Samuel replaces Roberto Soldado because of an injury. Foul by Alfred N'Diaye (Real Betis). Substitution, Real Betis. Dani Ceballos replaces Álvaro Cejudo. Dangerous play by Francisco Portillo (Real Betis). Eric Bailly (Villarreal) wins a free kick in the defensive half. Álvaro Cejudo (Real Betis) wins a free kick on the right wing. Corner, Villarreal. Conceded by Juan Vargas. Substitution, Villarreal. Cédric Bakambu replaces Leo Baptistao. Corner, Real Betis. Conceded by Mario. Attempt missed. Juan Vargas (Real Betis) left footed shot from outside the box misses to the left. Assisted by Álvaro Cejudo following a corner. Attempt saved. Cristiano Piccini (Real Betis) right footed shot from outside the box is saved in the bottom right corner. Assisted by Álvaro Cejudo. Attempt saved. Álvaro Cejudo (Real Betis) left footed shot from outside the box is saved in the bottom right corner. Assisted by Cristiano Piccini. Jorge Molina (Real Betis) wins a free kick on the left wing. Attempt missed. Samu Castillejo (Villarreal) left footed shot from the left side of the box misses to the right. Assisted by Mario following a fast break. Corner, Real Betis. Conceded by Víctor Ruiz. Hand ball by Tomás Pina (Villarreal). Foul by Juan Vargas (Real Betis). Attempt saved. Rubén Castro (Real Betis) left footed shot from outside the box is saved in the centre of the goal. Assisted by Xavi Torres with a headed pass. Attempt missed. Álvaro Cejudo (Real Betis) left footed shot from outside the box misses to the left. Assisted by Alfred N'Diaye. Attempt saved. Roberto Soldado (Villarreal) right footed shot from the centre of the box is saved in the centre of the goal. Assisted by Samu Castillejo with a cross. Germán Pezzella (Real Betis) is shown the yellow card for a bad foul. Foul by Germán Pezzella (Real Betis). Roberto Soldado (Villarreal) wins a free kick on the left wing. Samu Castillejo (Villarreal) is shown the yellow card for a bad foul. Foul by Bruno (Real Betis). Roberto Soldado (Villarreal) wins a free kick in the defensive half. Attempt missed. Álvaro Cejudo (Real Betis) right footed shot from the right side of the box misses to the left. Attempt missed. Jorge Molina (Real Betis) header from the centre of the box misses to the left. Assisted by Juan Vargas with a cross. Second Half begins Real Betis 0, Villarreal 1. First Half ends, Real Betis 0, Villarreal 1. Samu Castillejo (Villarreal) wins a free kick on the right wing. Attempt missed. Bruno (Real Betis) right footed shot from the centre of the box misses to the right. Assisted by Álvaro Cejudo with a cross. Alfred N'Diaye (Real Betis) wins a free kick on the left wing. Attempt missed. Álvaro Cejudo (Real Betis) left footed shot from outside the box misses to the left. Francisco Portillo (Real Betis) wins a free kick in the defensive half. Foul by Leo Baptistao (Villarreal). Attempt blocked. Álvaro Cejudo (Real Betis) right footed shot from outside the box is blocked. Rubén Castro (Real Betis) wins a free kick in the attacking half. Álvaro Cejudo (Real Betis) is shown the yellow card. Goal! Real Betis 0, Villarreal 1. Roberto Soldado (Villarreal) right footed shot from the right side of the box to the bottom left corner. Assisted by Jaume Costa. Attempt saved. Roberto Soldado (Villarreal) left footed shot from the left side of the box is saved in the bottom left corner. Assisted by Mario. Bruno (Real Betis) is shown the yellow card for a bad foul. Offside, Villarreal. Nahuel tries a through ball, but Leo Baptistao is caught offside. Offside, Real Betis. Rubén Castro tries a through ball, but Jorge Molina is caught offside. Rubén Castro (Real Betis) wins a free kick on the right wing. Hand ball by Leo Baptistao (Villarreal). Attempt missed. Juan Vargas (Real Betis) left footed shot from outside the box misses to the right. Hand ball by Roberto Soldado (Villarreal). Attempt missed. Xavi Torres (Real Betis) right footed shot from outside the box is high and wide to the right. Juan Vargas (Real Betis) wins a free kick in the defensive half. Attempt missed. Cristiano Piccini (Real Betis) left footed shot from outside the box is too high. Foul by Jorge Molina (Real Betis). Víctor Ruiz (Villarreal) wins a free kick in the attacking half. Attempt missed. Leo Baptistao (Villarreal) header from the centre of the box is too high. Assisted by Samu Castillejo with a cross.